Hope everyone is still enjoying their summer. I understand that some teachers have already started back at school. Well, then I especially dedicate this cartoon to you. Enjoy and share it with those that need a laugh to start off their school year. Thanks! 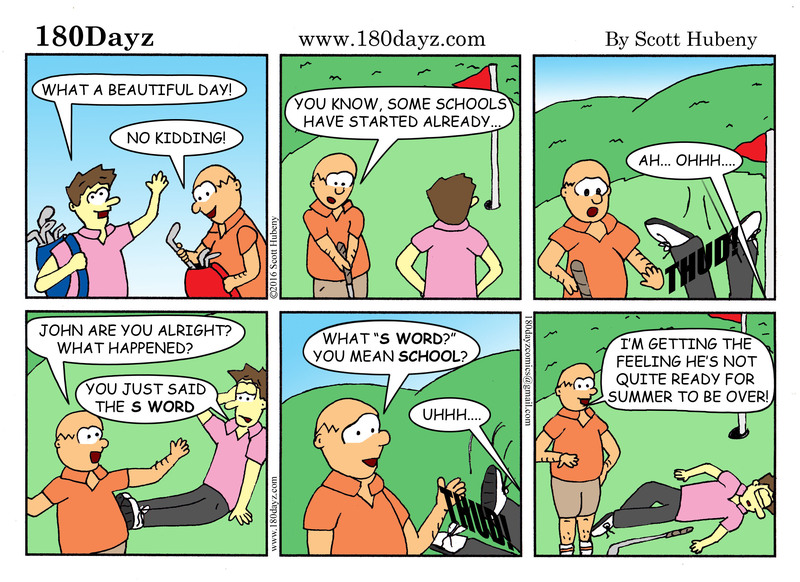 Previous post180Dayz calendars are done and ready to keep you laughing all school year!